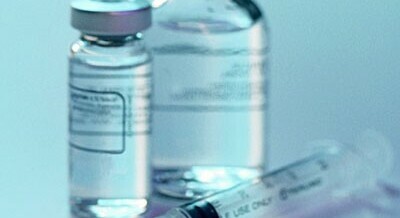 Since its discovery, insulin has become one of the most studied molecules in the history of medicine. As we all know, insulin is a protein related to diabetes, a disease that affects a large percentage of the population. The supply of exogenous insulin is needed to regulate glucose levels in patients with type 1 diabetes in all cases, and occasionally in patients with type 2 diabetes. The Diabetes treatment consists in injecting external insulin to regulate glucose level in blood. Moreover, these patients should maintain a low carbohydrates diet and practice sport. In 1921, the Canadian physiologists Frederick G. Banting y Charles H. Best extracted the insulin from the dog pancreatic tissue for the first time. Later on, the insulin was obtained from pigs or cows. The problem with this kind of drugs was that they could produce adverse immune reactions in the patients because of the protein was not the same as the human. Others drawbacks of this strategy were the low production yield and the risk of contamination with toxins. For these reasons the pharmaceutical industry decided to produce the human insulin by genetic engineering. The so-called human insulin is chemically identical to which our body produces, was the first licensed recombinant protein. It was developed by Genentech and marketed by Ely Lilly in 1982. At present, insulin is being produced mainly in Escherichia coli y Saccharomyces cerevisiae for the treatment of diabetic patients. The bacteria, specifically E. coli, are used to synthesize the A and B human insulin chains separately. The genes which encode these proteins are introduced by pBR322 vector. Afterwards, it is carried out the purification, in vitro folding and union of the both chains. The union is performed by the oxidation of cysteins to shape the disulphide bounds of the active protein. E. coli offers several advantages such as high growth rate, simple media requirement, easy to handle, high yield and cost-effectiveness. Nevertheless, there are disadvantages such as loss of plasmid and antibiotic property, unsolicited inducers for genes expression, intracellular accumulation of heterologous proteins as inclusion bodies, improper protein refolding and lack of post-translational modifications, endotoxin contamination, poor secretion and proteolytic digestion. In E. coli, the protein can be secreted in the periplasm, which has advantages over cytoplasm, improving the protein production and purification. On the other hand, the yeast cells yield soluble insulin precursors which are secreted into the culture supernatant. The synthesis of insulin in yeast cells allows the insertion of numerous post-translational modifications. However, the main problem for producing therapeutic glycoprotein for human application is that the yeast N-glycosilation is of the high mannose type, which makes the protein less effective due to a short half-life and the hyper-immunogenicity produced. Besides S. cerevisiae, alternative yeast strains have been investigated and it has been found that Pichia pastoris could be an attractive option for large-scale production of recombinant insulin. Furthermore E. coli and yeast, mammalian cells, transgenic animal and plant expression system are also employed as a host for large-scale production of recombinant production. The use of transgenic plants has many advantages such as cost effectiveness, high quality protein processing and absence of human pathogens, ease production and presence of eukaryotic machinery for posttranslational modifications. Specifically, recombinant human insulin has been expressed in oilseeds of plant Arabidopsis thaliana getting very high level of expression with easy recovery. In conclusion, there are different ways of producing recombinant human insulin and nowadays the aim is to improve the expression of insulin using different host cell.